Do offer your seat to the needy ones. We don’t want you to have regrets in life & keep on missing chances of doing good deeds. Have you done good today? What was it? Share with us, lah! KJ Line Update : Affected customers that decided not to continue their journey & want to exit paid area, proceed to our Customer Service Counters for refund. Customers with the MyRapid TnG Card/ TnG card need to produce their card via the paid window counter in order to receive a refund voucher and required to tap out as normal. It's Thursday morning! Offer your seat to those that need it more than you do. MyRapid team is ready to provide you with the latest service updates. Want to win an iPad or TnG cards worth RM200? How? Just as simple as riding on RapidKL LRT and MRT! But hold your horses, folks! This is open for High School and University students only So students, what are you waiting for?! 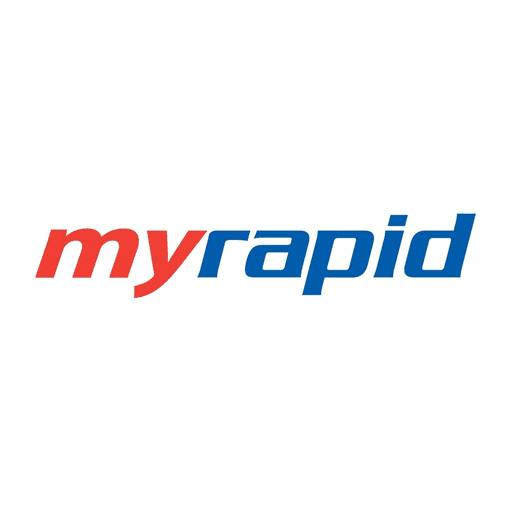 Come and join 'MyRapidStar Challenge' and follow the instructions:- Step 1: Snap a picture of yourself riding any RapidKL MRT and LRT lines Step 2: Write your best caption Step 3: Hashtag #MyRapidUni (for university students) OR #MyRapidSekolah (for secondary school students) Step 4: Post it on Instagram! (p/s: make sure your profile is public)* Competition lasts from 28th May – 27th June 2018. *Terms & Condition applied. AG/SP Line Update : Affected customers that decided not to continue their journey & want to exit paid area, proceed to our Customer Service Counters for refund. Customers with the MyRapid TnG Card/ TnG card need to produce their card via the paid window counter in order to receive a refund voucher and required to tap out as normal.